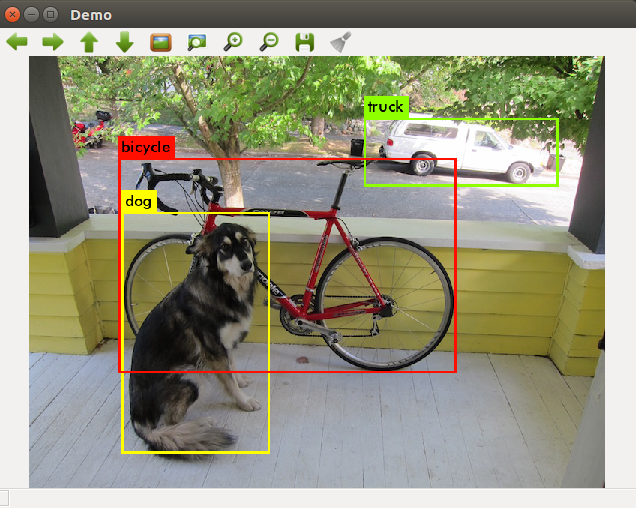 This is a ROS package developed for object detection in camera images. You only look once (YOLO) is a state-of-the-art, real-time object detection system. In the following ROS package you are able to use YOLO (V3) on GPU and CPU. The pre-trained model of the convolutional neural network is able to detect pre-trained classes including the data set from VOC and COCO, or you can also create a network with your own detection objects. For more information about YOLO, Darknet, available training data and training YOLO see the following link: YOLO: Real-Time Object Detection. The YOLO packages have been tested under ROS Melodic and Ubuntu 18.04. This is research code, expect that it changes often and any fitness for a particular purpose is disclaimed. The YOLO methods used in this software are described in the paper: You Only Look Once: Unified, Real-Time Object Detection. M. Bjelonic "YOLO ROS: Real-Time Object Detection for ROS", URL: https://github.com/leggedrobotics/darknet_ros, 2018. In order to install darknet_ros, clone the latest version using SSH (see how to set up an SSH key) from this repository into your catkin workspace and compile the package using ROS. nvcc fatal : Unsupported gpu architecture 'compute_61'. You will see the image above popping up. 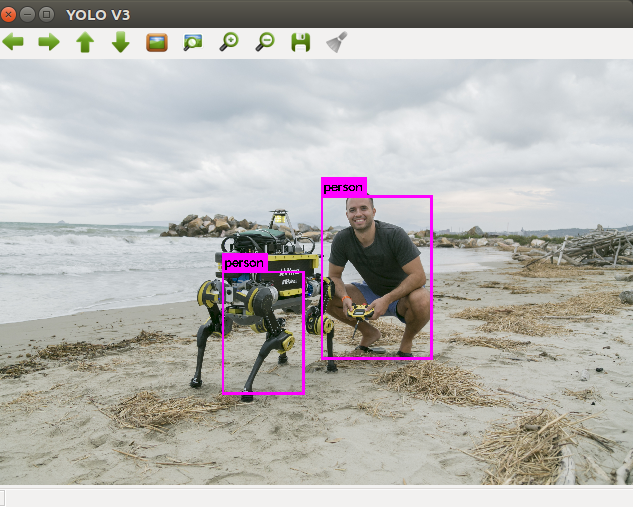 In order to get YOLO ROS: Real-Time Object Detection for ROS to run with your robot, you will need to adapt a few parameters. It is the easiest if duplicate and adapt all the parameter files that you need to change from the darkned_ros package. These are specifically the parameter files in config and the launch file from the launch folder. This is the main YOLO ROS: Real-Time Object Detection for ROS node. It uses the camera measurements to detect pre-learned objects in the frames. You can change the names and other parameters of the publishers, subscribers and actions inside darkned_ros/config/ros.yaml. Publishes the number of detected objects. Publishes an array of bounding boxes that gives information of the position and size of the bounding box in pixel coordinates. Publishes an image of the detection image including the bounding boxes. Sends an action with an image and the result is an array of bounding boxes. You can change the parameters that are related to the detection by adding a new config file that looks similar to darkned_ros/config/yolo.yaml. Enable or disable the open cv view of the detection image including the bounding boxes. Wait key delay in ms of the open cv window. Name of the cfg file of the network that is used for detection. The code searches for this name inside darkned_ros/yolo_network_config/cfg/. Name of the weights file of the network that is used for detection. The code searches for this name inside darkned_ros/yolo_network_config/weights/. Threshold of the detection algorithm. It is defined between 0 and 1. Detection names of the network used by the cfg and weights file inside darkned_ros/yolo_network_config/.